https://vinointhevalley.com/wp-content/uploads/2018/08/IMG_3987.jpg 2592 3888 Vino In the Valley https://vinointhevalley.com/wp-content/uploads/2018/07/Vinointhevalleylogo.png Vino In the Valley2019-02-19 13:21:512019-03-08 10:44:54Now Hiring for the 2019 Season! 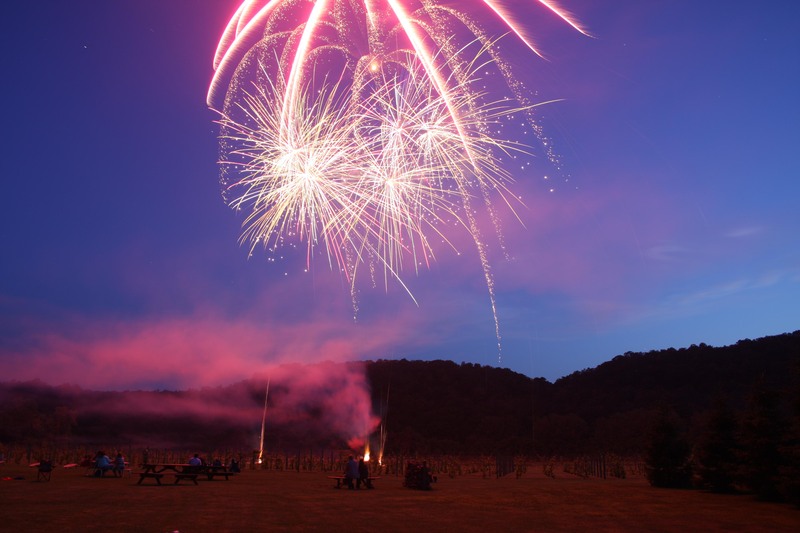 Great wine, delicious food, and fireworks… Commemorate the Independence Day holiday by joining us for Red, White and Blues on Saturday, June 30. Grab family and friends for a fun afternoon and evening in the valley. Take a tractor tour around the vineyard, enjoy a glass of wine or a beer on the patio, listen to music over a pasta dinner… Then grab your lawn chairs or blanket and settle in for the fireworks show after dusk! It’s a patriotic evening in the valley you won’t want to miss! Instead of our full menu, we will be serving up our famous pasta buffet and brick oven specialties. The last seating of the night will be at 9pm (our staff wants to take in the fireworks, too!). There’s no admission charge. Sorry, no carry-on allowed on the grounds. 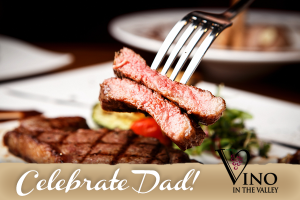 What better way to celebrate Dad on Father’s Day than an afternoon at Vino in the Valley? Great food, great drink, and a great time! Enjoy our Steak Special! Sirloin, Hanger or Flat Iron for $18.99…comes with a side salad, zucchini au gratin, and baby red potatoes. Plus, free dessert for dad! Music entertainment by The Riddle Brothers! 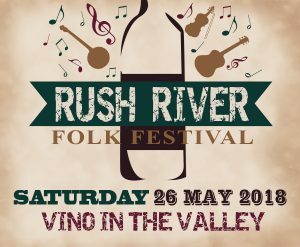 On Saturday, May 26, music fans and others who love outdoor events in Wisconsin will assemble in Maiden Rock for the 5th annual Rush River Folk Festival. All who attend will enjoy exquisitely prepared food, drinks, and live outdoor music in a lush river valley setting, from noon until sunset. This annual event is hosted by Vino and the Valley, a perfect place for friends and family to get away from it all close to home and enjoy music from an outdoor stage, tasty food and beverages, and the beautiful spring feel of a day outdoors at a premium location. There is no cover charge for admission to this event, which can be very helpful for families, couples, and groups of people who would like to explore the area for the first time. The headlining musical act for Rush River 5 is Quinn Elizabeth, featuring the sister duo of Jerrika Mighelle and Elizabeth Stearns. A musical group with deep roots in the Eau Claire music scene, the beauty of their harmonies together is a perfect complement for their original and classic acoustic folk sound. Of the sisters, Jerrika remains the most active in the regional scene, touring to support her most recent CD release Like the Sea. Collectively, the musical sisters can be counted on to offer emotionally resonant and melodically beautiful music to their audience, with the quality of the vocals, lyrics, and acoustic guitar calling up the best in American folk traditions. Musical virtuoso and regional favorite Michael Rambo leads off 2018 festival, bringing his talents to Vino in the Valley for the first time. Michael is well known regionally for his musical leadership and passionate performances for the CollECtive choir, a vocal and instrumental group that brings together elements of jazz, gospel, and soul music. Michael’s musical versatility is also on full display in his performances with the Shillelagh Lads, an Irish group that combines traditional acoustic instruments with energetic hand drums and a crowd-pleasing song selection. Michael is looking forward to presenting his music at Rush River in a solo context, providing an opportunity to feature original and familiar songs in a folk style. The audience at Rush River will also enjoy a musical set by Davey J and Jen Hazen, a duo with an expansive playlist and a distinctive approach to acoustic folk performance. 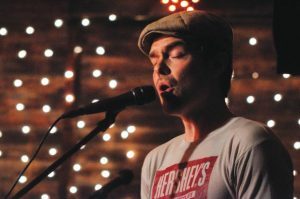 Davey J (David Jones) has performed for more than two decades in the Upper Midwest with musical combos that included Davey J and the Jones Tones, Davey J and Friends, Kingston Blue, and back in his Minneapolis years, the Parsley Brothers. He is also the founder and producer of the Rush River Folk Festival and greatly enjoys the opportunity to join other outstanding regional musicians to celebrate the wonderful musical scene of the Chippewa Valley. His duo partner, Jen Hazen, has a well-established reputation of her own from her performances in Weapons of Brass Destruction, Jenny and the Jets, and Davey J and Friends. Both Davey J and Jen are avid recording artists as well, with Jen’s 2018 release The Music Heals Project bringing together many Chippewa Valley musicians to contribute their talents to original music for a charitable cause. Davey J’s most recent CD release, Chippewa Love, demonstrates his skills across the genres of folk, blues, rock, and reggae, with his signature guitar and vocal style on display at every performance. The lineup also features Larry Past and Al Julson, a well-established veteran folk duo that can be seen on stages across the Chippewa Valley and beyond. Their vast musical repertoire may include familiar folk and rock tunes as well as original compositions. Strong vocal harmonies and layered acoustic guitar are the hallmarks of their style on stage. The duo has a wonderful feel for the tone and mood of the audience, allowing them to create a distinctive musical experience that crosses genres and generations each time they perform. With this lineup, Rush River 5 will provide an awesome day of entertainment for all who are interested. Please join us on Saturday, May 26, from noon to 9 pm, for an outstanding festival experience. Moms…we love them, and heck, we wouldn’t be here without them. And, as we like to joke, we’re all the reason that they drink. 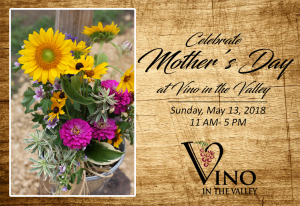 So bring your mom down to Vino in the Valley to celebrate her day in a special way! Join us Sunday, May 13, from 11 – 5pm (get your reservations in now for group of 10 or more… they’re going fast!). For Mom we’ve got free flowers, free chair massage, and free dessert! Plus, we will have entertainment by local favorites, Colleen Raye and family, for all to enjoy! 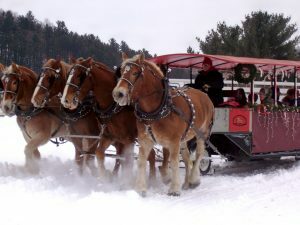 Unfortunately, we will not be able to offer any horse drawn wagon rides this year. Avalon, the horse who helps us with the wagon rides is getting ready to become a mother herself! She is due any day with her own baby! Sounds like the makings of a great afternoon! Come on down, sip on a glass of wine, and enjoy some great fun and entertainment with Mom. She’ll love you for it! Once again we’re thrilled to be hosting the Ellsworth Community School District Foundation’s annual fundraising event, “Taste of Tuscany”. The event, which will be held at Vino in the Valley on Friday, June 1, 2018, supports the Foundation in their mission to enhance educational opportunities within our community using private revenues. In a time of ever-tightening budgets, supporting this great cause has become more important than ever. Social Hour begins at 4:30pm with the event officially kicking off at 5:00pm. Attendees will enjoy the music of Don & Doreen, a wine tasting, silent auction, and of course, great wine and a delicious dinner buffet. Tickets are $35 and available at Vino in the Valley, Ellsworth School District Office, Nilssen’s Foods, and from Foundation board members. We have some amazing items on the silent auction again this year! We not only wish to encourage you to purchase your tickets and attend this worthwhile event, but also want to be sure all our guests are aware that due to this event, general seating will not begin until 7:30pm on Friday, June 1. Our outdoor bar, Bella Sera, will be open beginning at 5:00 pm if guests would like to come down to enjoy some wine, music, wagon rides, and the grounds until seating begins; although you’re always welcome to purchase a ticket to the event on the spot and join us! Your help in spreading the word to your friends and neighbors is always appreciated. Thank you and we look forward to seeing you. Don’t Miss Our Vino in the Valley Job Fair! 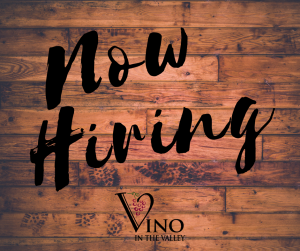 We’re working on building a fantastic team here at Vino in the Valley and to do that, we’re holding a Job Fair! We’re not just looking for employees, we’re looking for family! We offer a fun and fast-paced work environment in a beautiful and unique outdoor setting. Vino in the Valley is a great place to work during the most beautiful time of year. Plus employee discounts on food, competitive pay, beverage and gift shop, AND first in line for a job next season! We can be very flexible in hours and you can work 1-2-3- or all 4 days…it’s up to you! If you’re friendly, enthusiastic, and service-oriented, we want to meet you! If you’re interested in joining our staff and working in a fun environment, please download an application and return it following the instructions. Then join us at our Job Fair on Sunday, March 18 beginning at 10am, which will be held at Vino In the Valley. We look forward to meeting you and welcoming you to our Vino family! To keep up with news, updates, and happenings, like us on Facebook. https://vinointhevalley.com/wp-content/uploads/2018/02/Now-Hiring-2-300x251-1.png 251 300 Vino In the Valley https://vinointhevalley.com/wp-content/uploads/2018/07/Vinointhevalleylogo.png Vino In the Valley2018-02-26 16:29:222018-09-18 16:19:00Don't Miss Our Vino in the Valley Job Fair! Construction on the new Vino Over the Valley restaurant in Arcadia, WI is underway. However, there’s one more important construction project left… It’s time to build a fantastic team! We’re not just looking for employees, we’re looking for family! We offer a fun and fast-paced work environment in a beautiful and unique outdoor setting. Current openings include wait staff, bartenders, hostess, kitchen staff, and runners/bussers! Opportunities are part-time and seasonal — We offer competitive pay and a generous employee discount! A great opportunity for anyone looking for a second job! If you’re friendly, enthusiastic, and service-oriented, we want to meet you! To apply, please download an application here and return it following the instructions. Then join us at our Job Fair on Saturday, February 10 and Sunday, February 11, from 10am – 3pm, which will be held at Larry’s Lookout (formerly Hansen’s Holdup), adjacent to Vino Over the Valley’s future home. The Biggest Gift Certificate Sale of the Year is Here! We know the sooner you finish your holiday shopping, the sooner you can enjoy the season (and your wine)! That’s motivation enough for us to make your gift-giving as easy as possible this year. 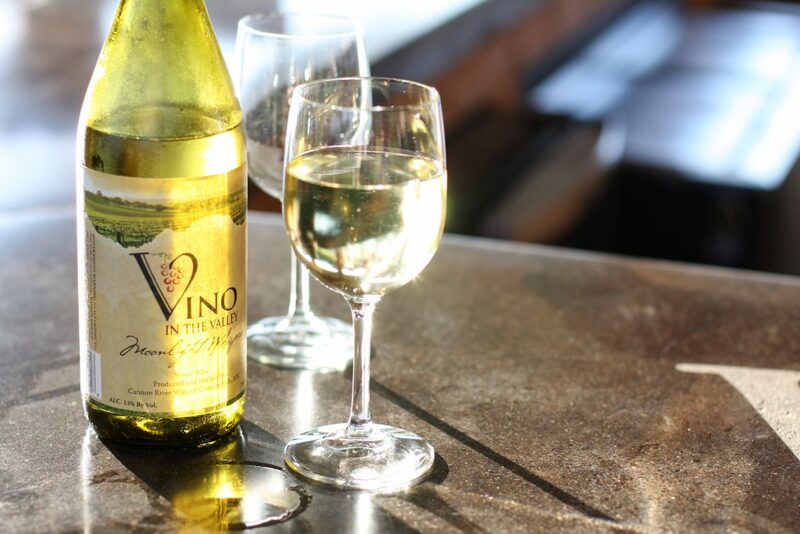 Vino in the Valley gift certificates make great gifts, and from now until December 24, 2017 when you purchase $100 in gift certificates you receive an additional $20 gift certificate FREE! Take advantage of this special opportunity in the Vino in the Valley Gift Shop starting November 25! Or by calling 715-639-6677. Why not give the gift of an experience that will be remembered for a lifetime…Good Vino, Good View and Good Vibes! We can’t imagine a more perfect gift. 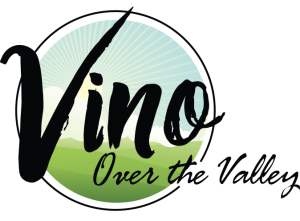 Vino In the Valley https://vinointhevalley.com/wp-content/uploads/2018/07/Vinointhevalleylogo.png Vino In the Valley2017-11-09 13:59:492018-09-18 16:19:00The Biggest Gift Certificate Sale of the Year is Here! If you happened to join us last year for our Christmas weekends, you know it’s purely magical; kind of like walking into a Norman Rockwell painting! If you’ve yet to experience a country Christmas “Vino-style”, you must check it out for yourself… And bring the whole family! We’ve put the sides down on the pavilion for the festivities and our heaters keep things nice and warm. Enjoy wagon rides around the vineyard, visit with Santa, or sit by the fire! We will be serving up our famous brick oven Pizzas and Italian Nachos. Oh, and how can we forget the wine? Yes, the wine will be flowing (as will the hot cocoa for the kids). And the kiddos will also have to check out our “Cookie Decoration Station”! Adjacent to Vino in the Valley you’ll see our Rush River Tree Farm. Add to your holiday memories and enjoyment with a beautiful and lush fresh Christmas tree. 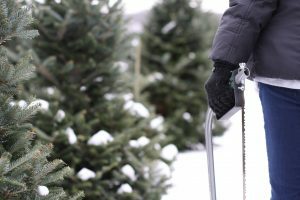 ‘Choose & Cut’ your own tree or make a selection from our inventory of fresh cut trees. Varieties include Balsam, Fraser Fir, Canaan, and White Pine (long needle) with sizes varying from 5′ to 10′. Prices start at just $30 and include shake, bale, and drilling for stands. We also offer beautiful fresh wreaths and swags and spruce tips for holiday decorating at your home or business. Visit our gift shop where you can pick up a few bottles (or a case) of your favorite Vino in the Valley wines for hostess gifts and your personal holiday enjoyment. And don’t forget to bring your gift list and get a few presents handled. 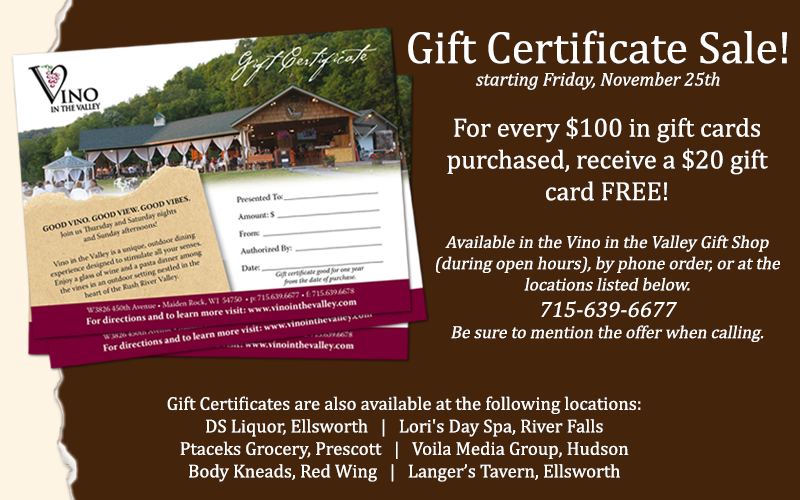 The gift shop is fully stocked with merchandise and you can never go wrong with a Vino Gift Certificate. Plan your Christmas outing with family and friends this December for Christmas at Vino in the Valley!